Nowadays there are more and more people who choose to replace the work in companies to work from home. 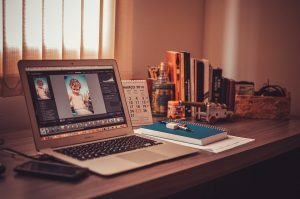 Work in home offices is becoming more popular in recent years. On the other hand, there are still many who opt for a traditional 9 to 5 job. If you don’t belong to this group, then you might want to start thinking about setting up an office in your home and enjoy in the comfort, only home can provide. If you do not know where to start, maybe we can help you with that. 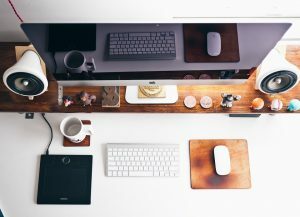 So, take a look at this article and you will get many useful ideas on how to design your ideal office at home. 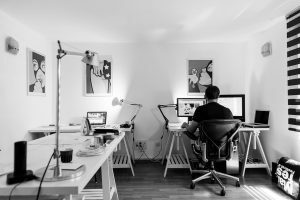 When setting up an office in your home, there are many considerations that you simply have to pay attention to in order to raise the efficiency of your work. This means that your home office should really have that purpose and nothing else. Surely, work from home can be really exciting. However, make sure that it does not become causal to a point where you don’t feel that that space is not the one intended for working. Therefore, your home should be arranged in such a way that your office is clearly separated from the rest of the house where you could only be disturbed and unproductive. So, the atmosphere in the office part of the house should still be professional, even though you are now working from home. Only that way you will reach a maximum productivity level. This might be the most difficult part of the whole process especially if you are looking for a way to save as much space in your home as possible. It is particularly challenging if you have a limited square footage so you have to fit it somewhere. If this is the case in your house, then you could make use of room dividers such as folding panels. These could be pretty useful in helping you organize the space and make it visually larger. And as we mentioned before, it is important to be in the part of the house where you will have peace and quiet so that you can concentrate on your work. If your plan is to meet your clients in the office and do business with them there, then any room divider is out of the option. You should still present yourself as a professional, so make sure your office says the same. On the other hand, since you have arranged a part of the house to be your office, you might consider not visiting that part of the house during parts of a day when you are not working. After all, we all need a take rest from work. Also, this Is a great opportunity to separate your professional time from personal. Only, do give your best to relax as much as you can while you are not doing business. This is why it is advisable to have a specially prepared corner for yourself in which you will only be doing your job. Therefore, your kitchen table or your kid’s desk is simply not good enough. A worktable. This one doesn’t have to be too large if you don’t have enough space. But, try getting one which is functional and has enough drawers and shelves in order to place all of your documents, and computer without being too overcrowded. A comfortable chair. Since you will be spending a lot of time working, you better buy a chair from which you have a back pain. Equipment such as a computer, a fax or a copy machine. Equipping your office should begin as soon as you decide on this move. This leaves you with enough time to obtain every little thing as you planned. After that, you will have an easier transition because you will already have a fully-equipped and functional office. Call for help a reliable moving company to speed up the process of moving in your new office. The importance of natural light is more than you might think. Your eyes and brain will feel more rested if they don’t need an extra effort to adjust to a darker room. So, the best solution is to place your working desk next, or close to the source of natural light. If you work at night, invest in high-quality light bulbs which imitate natural light the best. If you still don’t have it, get one fast. Trust us, you will immediately feel the difference. Thank us later! If setting up an office in your home is not possible in any part of the house with the source of natural light, get more information about light systems which can enable a full spectrum-lightning. Remember when we said that you should feel comfortable in your office? You can achieve that effect by decorating it and adding your personal touch to it. That could be a plant, family photos or a board with motivational messages you’ve written yourself. It doesn’t matter as long as it is something that fits the environment. It will surely enrich the whole space.